Creating an ambiance of harmony in any décor. The Vista line of banquet chairs breathes prima moderno. Aesthetically pleasing, they are crafted with elegance to provide a luxurious setting for your guests. All our banquet seating is designed with your guests in mind. Air Foam Technology is cold-cured foam that provides unsurpassed comfort while providing you with a foam that will last for 15 years. So give your guests what they deserve: a beautiful seat and an enjoyable experience. Why a 20"-wide chair is the right choice. Recognizing the increasing size of most North American customers, ComforTek Seating manufactures each of its banquet chairs in a 20″ frame width. Not only does this additional width provide a more generous seat cushion upon which to sit, it also provides seated customers with adequate “personal space” for their comfort and enjoyment. The Vista & Vista Plus+ Collection of chairs now feature an optional molded cold cured foam (CCF) seat cushion. Air pockets strategically placed throughout the cushion provide outstanding comfort and performance. Cold cured or molded foam seat cushions are traditionally available on only fixed theatre seats and car seats. Now, we bring them to your guests. The cold cured foam on Vista Banquet Chair cushions extends beyond and below the plywood base to cover plywood edges on all four sides. Since the plywood base is encased in foam, it eliminates fabric snags. The CCF seat cushion is equipped with a thin membrane that repels water and other liquids, preventing them from penetrating into the cushion. A quick glimpse on what's under the hood. ComforTek uses high-end materials and today’s current technologies on all our banquet chairs. Read More About Vista 8831-18"
Read More About Vista 8851-18"
Read More About Vista 8871-18"
Read More About Vista 8801-18.5"
Looking for banquet chairs in a short period? 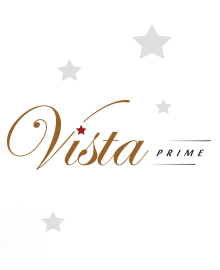 Inquire about our Vista Prime program, and get your chairs expedited. Some conditions apply. Looking for a wider, thicker seat? Look no further than our Vista Plus+ line of seating. These commercially rated units provide a seat width up to 22″, using 3″ thick foam. Treat your guests to a peaceful personal space experience with the Vista Plus+ line. Comfort from top to bottom. The Vista Plus+ Series incorporates great comfort into every chair. Not only is the seat width a full 20″, it also features a generous 3″ foam cushion for added comfort. The back is constructed with lumbar support, which helps you sit properly during long periods. OPTIONAL:Cold cured foam (air technology) is available as an upgrade. This is the same foam that is used in automobile seats. The cold cured foam is encased with a thin membrane that repels unwanted liquids, such as water, juice, or coffee. For unsurpassed lateral stability and frame strength. The frame includes 5 steel cross members, providing unsurpassed frame strength (600 lb. rating) and lateral stability. All Vista Plus+ frames come with a lifetime warranty. Read More About Vista Plus+ 7701-20"
Read More About Vista Plus+ 7741-20"
Read More About Vista Plus+ 7701-22"
Read More About Vista Plus+ 7741-22"
Read More About Vista Plus+ 7711-20"